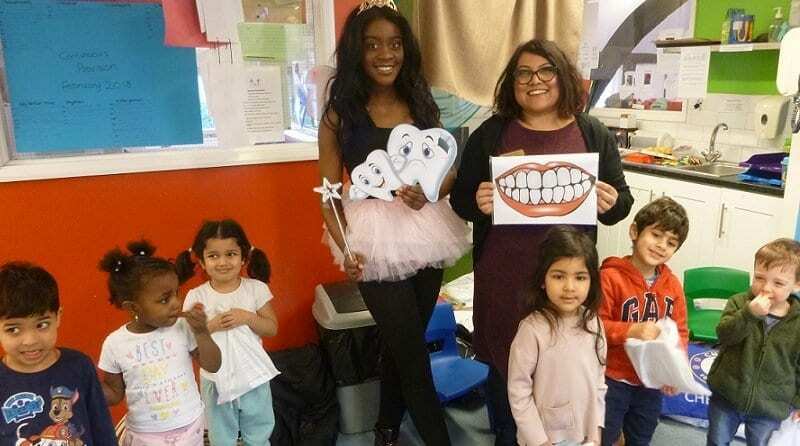 Pre-schoolers in our Watford and Stanmore Nurseries enjoyed a visit from their local dentists Bupa Dental Care, Watford and the Centre of Dental Excellence, Stanmore to celebrate National Tooth Fairy Day. The children spoke about what they can do to look after their little teeth so when they are ready to go to the tooth fairy they are sparkling. They also discussed the foods and drinks that are not good for their teeth, especially sweets. Both sessions were very informative and fun for everyone involved. The children enjoyed both the talk and the activities the dentists brought in with them. These visits are part of our wider set of ‘Mini VIP Events’ that Boys & Girls Nursery organise each month which coincide with seasonal activities and days of interest.